Ever wondered where the word bullet comes from. The word is from the Middle French (period from the 14th to the early 17th centuries) and originated as the diminutive of the word boulle (Boullet). This word means ‘small ball’. 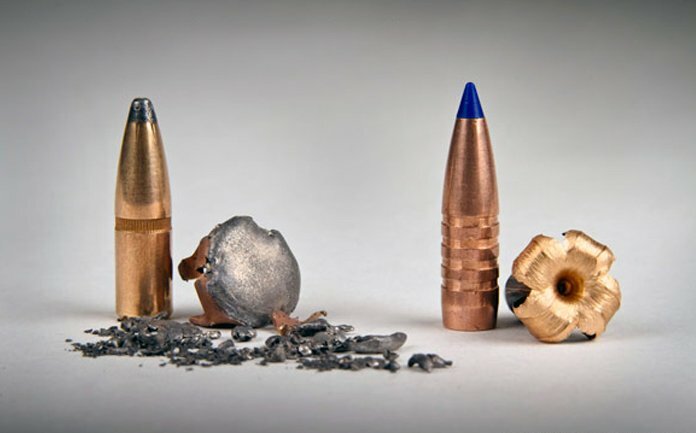 Modern bullets are no longer balls and are made primarily from lead and copper/copper alloys. Because of barrel fouling lead bullets usually have a ‘jacket’ around them made of a harder material like copper/copper alloy. 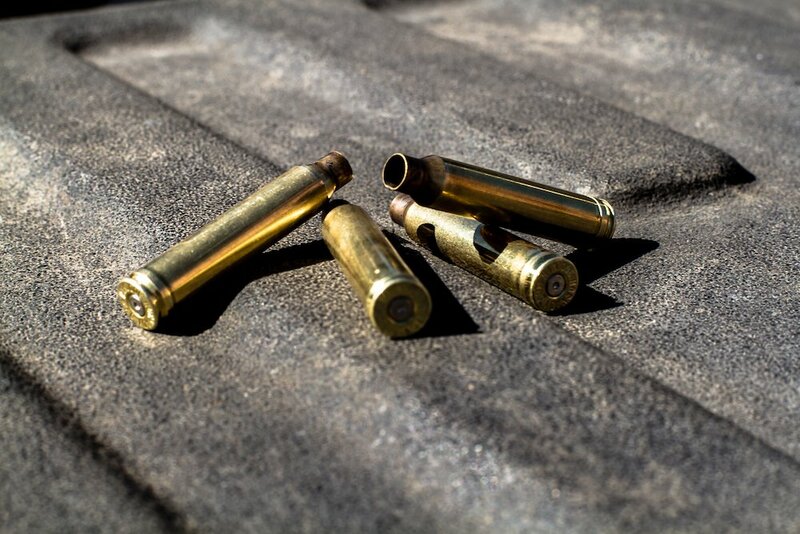 For this article we’ll refer to these two primary bullet types as lead core and copper bullets. This article will synthesize and explore some of the differences between lead core and copper bullets, the history that has us where we are today, and some factors to consider when deciding on a bullet type. Photo Hornady. This lead jacketed bullet shows the thin copper jacket over the lead core. A copper bullet has no lead and is a single piece of copper/copper alloy. The debate about lead versus copper bullets is one that is getting deeper and much more involved in recent years. That trend doesn’t look to be slowing either. Below are some of the events and issues that have got us to where we are today and brought copper to the forefront. One of the last acts before leaving the oval office President Obama banned lead ammunition on land administered by U.S. Fish and Wildlife Service. Although that ruling was over-turned with the Trump administration, the fact a law like that is being considered is illustrative of something larger happenings around the country that directly affects hunters. California has been phasing out lead ammunition since 2008 and will have a full ban this year for all hunting. 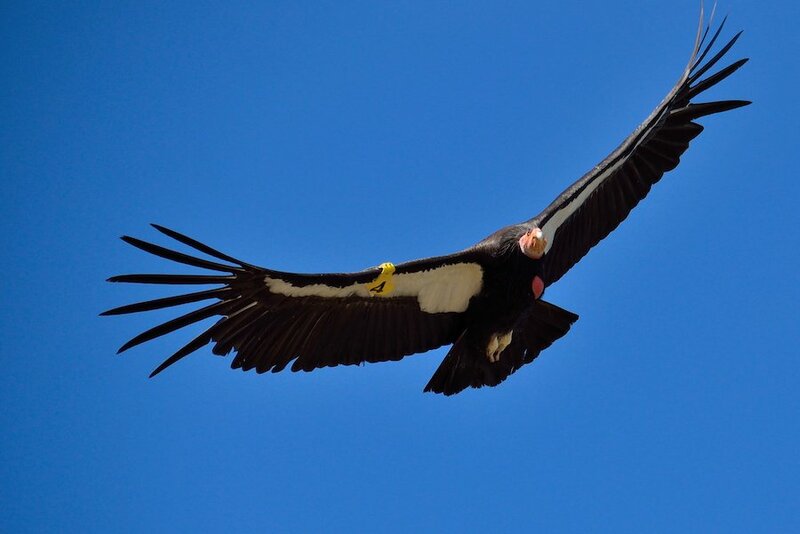 Lead poisoning has been shown to be a leading cause of Condor mortality. If you didn’t know, Condor’s get the lead from foraging on gut piles and other game left by hunters and has been shown to be a leading cause of Condor mortality. California Condors are a critically endangered species. The California Condor population fell to about 22 individuals in the late 1980’s. All wild Condors were captured and taken into captivity to save the species. Since then reintroduction has taken place but the Condor is still one of the rarest bird species. Primary mortality has been found to be lead poisoning from foraging hunter killed carcasses. In the last 10 years, 87 percent of hunters in Arizona’s Condor range have voluntarily used copper ammunition during their hunts or, if they used lead ammunition, removed the gut piles from the field. The Utah Division of Wildlife Resources, which coordinates condor management with AZGFD, has implemented a lead-reduction program in southern Utah by offering free copper bullets if you’re hunting within Condor habitat. Long before the move away from lead rifle bullets was the lead ammo ban that happened in 1991 when lead shotgun shot was banned for waterfowl hunting nationally because of lead contamination in marshes and poisoning of waterfowl and other wetland species. There’s research out there that shows a potential risk for humans consuming lead through game harvested using lead bullets. Bullets made with lead tend to fragment more than other solid monolithic copper bullets. Small fragments end up in the meat consumed by people. A 2008 study conducted by the Minnesota Department of Natural Resources surveyed the presence of lead fragments in commercially processed venison. In a sample of 1,029 packages of ground venison and 209 packages of whole cut venison, 27% of the ground and 2% of the whole cut venison were found to contain lead fragments. These fragments are so small they can not be seen, felt, or tasted and end up being part of dinner. 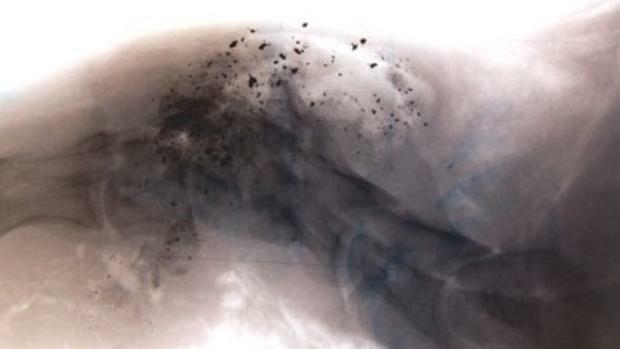 X-ray of a neck shot mule deer shot with a lead bullet. All those dark spots are fragmented lead. National Park Service photo. Research has also found the total lead concentrations of surface soil, sub surface soil, vegetation and surface waters at outdoor shooting ranges can have extremely high and above regulatory limits amounts of lead. Obviously the amount of lead at these ranges can vary depending on factors such as history of the range and what type of firearms are primarily used, shotgun or rifle. Because the issues surround lead are growing and the copper bullet market is expanding the choices in bullets for hunters has vastly widened beyond traditional lead core bullets. In fact it’s created a booming industry of solid copper ammunition. Photo Barnes Bullets. Several ammunition companies are producing high quality copper bullets like this Barnes. 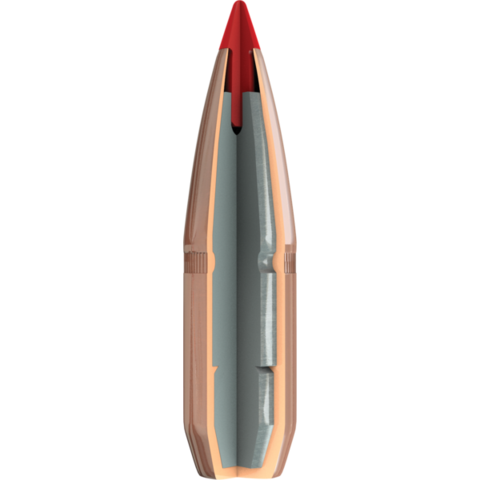 Notice the copper construction all the way to the core of the bullet. Copper bullets aren’t entirely new, they’ve been around since the 1980’s but only for a small variety of calibers. Today copper bullets are manufactured by multiple companies and available in a large array of calibers and bullet types. Many manufactures have even designed the copper bullets to meet standard reload data similar to lead bullet lines. In fact, copper bullets have become quite the rage. 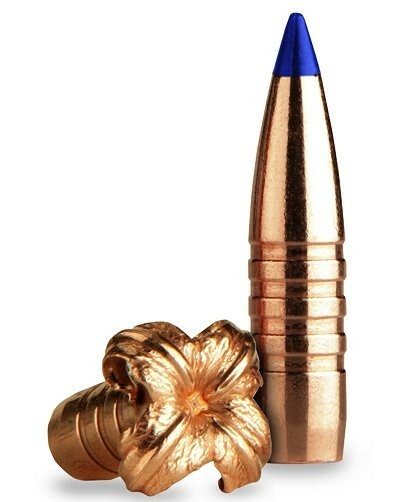 Manufacturers are producing extremely accurate and hard hitting bullets while only a few years ago it was hit or miss with these copper bullets. There’s a lot of question, rumors, and myths out there on about lead core versus copper bullets. Below are some factors to consider when comparing the two. Ballistics is a topic we could really get lost in the weeds on. Just as there is a million ways to skin a cat, there’s a million ways to compare and dissect ballistics. We’ll try not to get lost here and keep it simple with few points to think about. Given the same dimension bullet, the lead bullet will be heavier than the copper bullet. Lead is a heavier and more dense metal than copper. This means when 150 grain bullet is made without a lead core it will need to be longer than a traditional lead core bullet of the same weight. Longer bullets will take up more space in the the casing. Seating longer bullets means you might not be able to load the same amount of powder to reach your desired velocity. There are work-arounds for this like switching to powders that take up less space or using faster burning powders. Barrel twist rate is something else to consider with copper bullets. Generally speaking longer copper bullets need to be spun faster to stabilize versus the lead core counter parts. Of course this will all depend on your rifle, the cartridge and the bullet you choose. It may be or may not be an issue. Upon impact, lead bullets can lose up to 40% of their mass into tiny fragments that stray as far as 18″ from the wound channel. Lead core bullets and they way they are bonded to the copper jacket can reduce this percentage but they are still more prone to fragmentation versus a copper bullet. As previously stated this is an issue because hunters and scavenging wildlife consume lead fragments with negative health consequences. Photo Conservation Media.com. On the left is the lead core bullet and on the right is the copper bullet. Copper bullets on the other hand retain 95-100% of their weight, meaning extremely minimal fragments coming off the bullet ending up in the meat and guts. The copper bullets might not create as big a wound cavity in an animal as the lead core bullets because of the lack of fragmentation. Does this matter, depends on who you are and what your bullet performance goals are. From a practical standpoint though it really doesn’t matter, just something to think about. Common sense tells us that a heavier more dense lead core bullet will penetrate deeper than a lighter copper bullet. This isn’t completely true. As mentioned the lead core bullets tend to fragment more and can lose as much as 40% of their weight. The copper counterpart retains almost all the original weight and doesn’t fragment. This weight retention of the copper bullet means more weight and kinetic energy driving it through the animal on impact. Photo hntingwithnonlead.org. 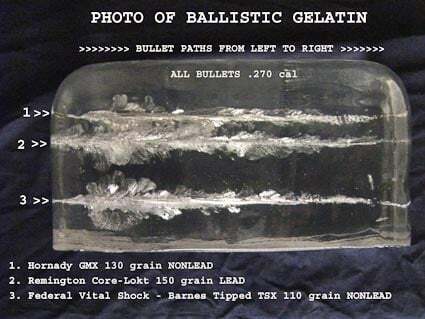 Two popular non-lead bullets and one favorite lead bullet were fired into the same block of standard ballistic gelatin to compare expansion, penetration, and hydrostatic shock. As you can see, the 2 non-lead bullets compare very favorably to the lead bullet in terms of performance. With this said you can step down in bullet weight and still see penetration as good or even exceeding lead core bullets. Being able to step down in bullet weight might help alleviate some of the issues ballistically as well. With so many companies manufacturing copper bullets the cost has come down over the years. We dare say the cost difference is negligible. If you compare a cheap soft point lead core bullet to a copper bullet of the same caliber and weight then yea the copper bullet may cost 50% – 100% more. But that’s like comparing apples and oranges. If you compare that same copper bullet to a nice quality high grade lead core bullet you’ll find the cost difference might be close to a wash. They’ll cost you roughly the same or slightly more for the copper. We’d say when comparing similar quality bullets the cost difference can be anywhere from no different to maybe 25% more for the copper. I think we’ve already pounded this topic into the ground at the begining. The environmental and biological concerns with lead are what have brought us to where we are today. These concerns might be debatable – this article isn’t here to debate them – we just want the readers to be aware of the issues and how they’ve lead us down this road of lead versus copper. For the average hunter wearing out a barrel is a non-issue most likely. Average hunters just don’t shoot enough. Most hunters shoot lead core with a copper jacket or the solid copper bullets. Few hunters shoot solid lead nowadays. Those the lead core and copper bullets have the same exterior even though the cores differ. Since it’s the same material causing friction on the barrel the wear is similar. Photo Muley Freak. 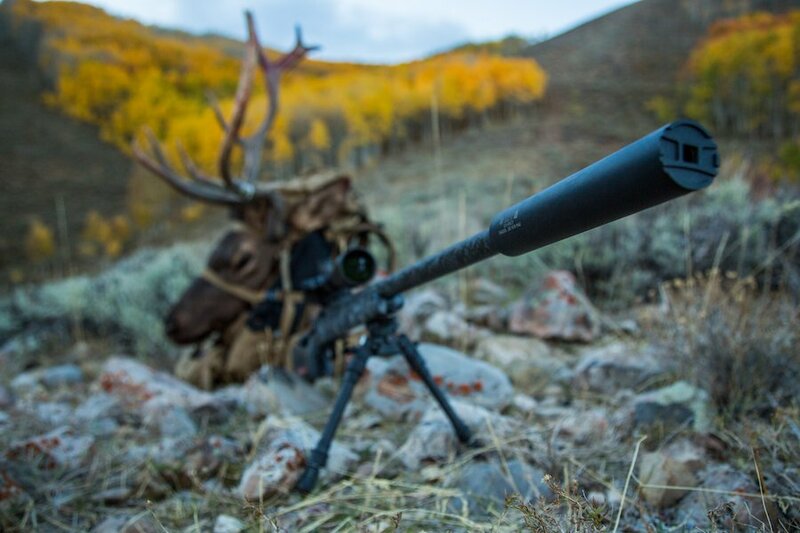 Most hunters will never replace a barrel on a rifle no matter what they shoot through it. The industry has also made big advancement in the copper alloy material being used and is more malleable and easier on the barrel. For these reasons we think barrel life is another negligible issue when considering lead core or copper bullets. Neither. Today copper bullets choices have expanded and manufacturers are developing bullets that perform extremely well while lead core bullets have always performed great. Really it’s for you the shooter to figure out based on your rifle, the bullet performance you want, how you shoot, and maybe some personal feelings on lead versus copper.